Check out Place Of Worship! 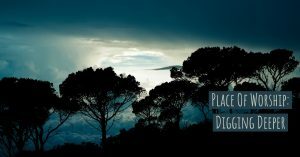 1) Where is the dwelling place of the Lord? 2) What does it mean to praise continually? 3) Why is a “day in your courts better than a thousand anywhere else”? For the choir director: on the Gittith. A psalm of the sons of Korah. look on the face of your anointed one. than live in the tents of wicked people. 11 For the Lord God is a sun and shield. Throughout the Bible, authors refer to the “dwelling place of the Lord” or the “house of the Lord” many times. To better understand the author’s intention, we must be aware of when the book was written. We find the book of Psalms in the Old Testament. The Israelites in the Old Testament would have thought of The Ark of the Covenant, the Tabernacle, and the Temple as places God would have dwelt. The Ark of the Covenant was mobile and traveled with the Israelites as they traveled through the Wilderness and fought in battles for the Promised Land, the Tabernacle was a tent in which the Israelites used until the permanent “brick and mortar” Temple was built. These each symbolized both God’s presence with the Israelites as well as a place of worship. However, in each of these instances, God was not accessible to all Israelites. Instead, the High Priest would enter into the presence of God and make sacrifices for their sins by going behind the veil into the Holy of Holies, which was intended to visualize the necessary separation from God’s holiness and humanity’s sinfulness . It wasn’t until Jesus came to earth that this process was changed. When we read verse 4, we may have this picture of people walking around constantly singing. However, this isn’t the picture the psalmist is painting here. Instead, the description is of a life of dependence and a desire to return to God. Matthew Henry, a trusted biblical theologian, describes these people as those “who, having placed their happiness in God as their end, rejoice in all the ways that lead to him, all those means by which their graces are strengthened and their communion with him kept up. They not only walk in these ways, but they have them in their hearts, they lay them near their hearts; no care or concern, no pleasure or delight, lies nearer than this.” The psalmist is beautifully describing what it looks like to live a life such as is summed up in Deuteronomy 6:5-7, loving the Lord with all our heart, soul, and strength and sharing that faith in regular, everyday living. It’s a life fully surrendered to God. As the psalmist draws to a close, he references back to the presence of God. In verse 10 the author writes, “Better a day in your courts than a thousand anywhere else. I would rather stand at the threshold of the house of my God than live in the tents of wicked people.” We are taken right back to the beginning of the psalm with the reminder of God’s dwelling place. The writer would rather spend one day in the dwelling of God than a thousand in any other place. He also specifically states he doesn’t care where in the dwelling place of God he is, anywhere is better than nowhere. The psalmist highlights the absolute necessity of being in the presence of God; here with Him there is something precious and significant that can only be gained by perpetually dwelling in His presence. In the New Testament, Jesus came to earth and forever changed where God dwelt. God now dwells inside of those who fully believe in Him. Jesus came and did away with the separation that existed between God and His people. When Jesus died on the Cross, defeating sin once and for all, the literal veil in the temple was torn signifying that now, through Jesus’ permanent sacrifice, God became accessible to everyone. Jesus paved the way for a restored relationship with our Father. When we choose to surrender our lives to Christ, He immediately and forevermore resides in us. God dwelling inside of us doesn’t make us perfect. Take a good look at any modern-day church and you’ll find a group of very imperfect people. However, each of those people who have fully trusted Christ’s sacrifice on their behalf have the indwelling of the Holy Spirit and are continually being transformed to look more like Jesus and less like the imperfect human they are. It is from the overflow of Jesus in us that non-believers see Christ because Jesus is literally inside of us! The psalmist is not suggesting we all stop what we are doing and sing praises all day long. Rather, he is suggesting we live a life continually pointing back to Jesus, a life lived out of the overflow of a relationship with Him. Our lives should look different from the unbelievers around us. We should be marked with a joy that is only explained in context of a relationship with Jesus. We should constantly be choosing to use our gifts and talents to walk in the places God has placed us pointing others to Him. 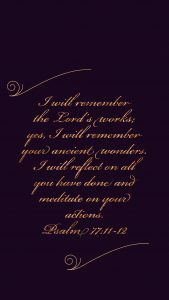 Our lives should reflect our surrender to the One who is in control of all Creation as we choose to moment by moment praise Him by surrendering our words, thoughts, and actions. If given all of life’s opportunities, relationships, pleasures, and choices, the author of this psalm would rather spend just one day in the presence of God than a thousand anywhere else. As we read this we can see the importance of being with God elevated to the highest priority. It doesn’t matter where we are serving in His courts, simply that we are there. There is something so uniquely special gained when we choose to set aside time to sit with Him, investing in our relationship with the Lord God. Psalm 84 makes it perfectly clear there is no place in all of creation like being in the presence of God, of drawing near to Him, and investing in a relationship beyond compare! Catch up with Place Of Worship!